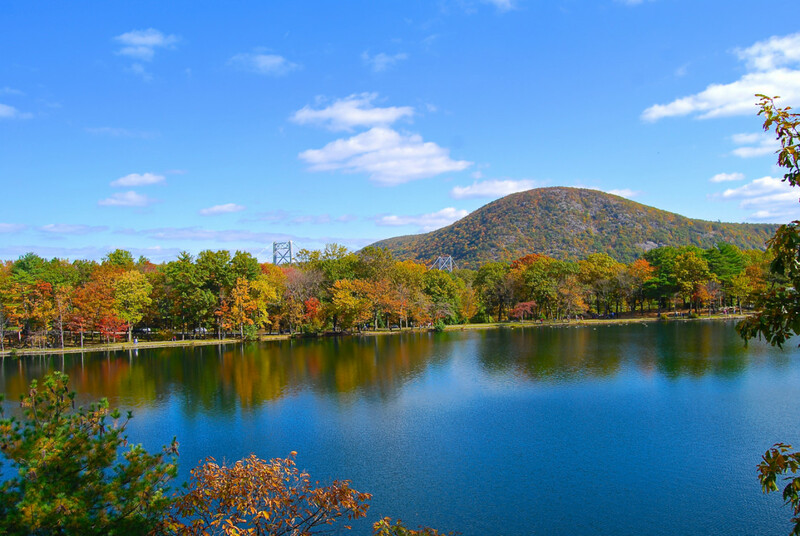 Take a one or two hour drive from New York City and you can experience endless trees, picturesque lakes and quaint towns. It’s no wonder that the southern part of the Hudson River Valley is such a popular day trip destination for families. 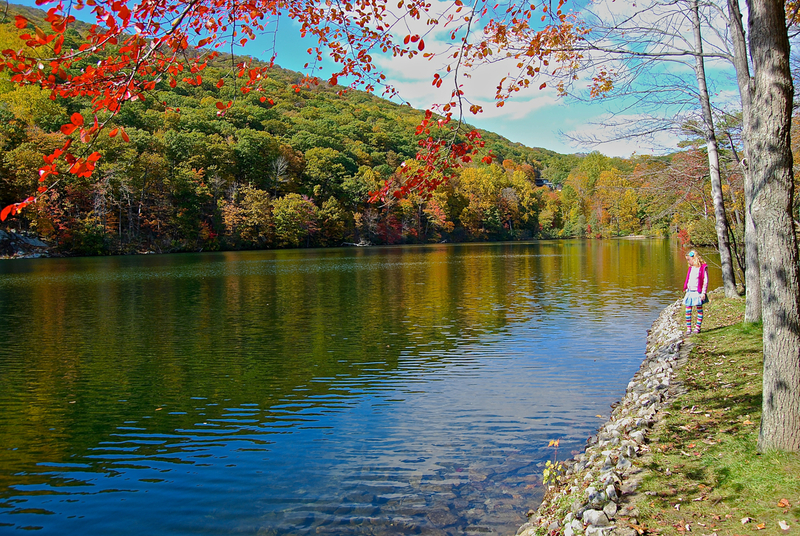 The Hudson River Valley has all the culture, history and nature that families look for in a perfect fall excursion. For the last five years. our family has headed to the region during the fall season and we’ve yet to run out of things to do. Families can expect to find unique holiday events and attractions that encourage learning but are still great fun. One of the most popular Halloween destinations in the New York area is the town of Sleepy Hollow. Since Washington Irving penned his creepy short story about a headless horseman chasing the frightened and socially awkward teacher, Ichabod Crane, the area has been associated with all things gothic and spooky. Horseman’s Hollow – We’ve been waiting for years to take our daughter to the Horseman’s Hollow. I am talking about a child who for years thought Beauty and the Beast was too scary. 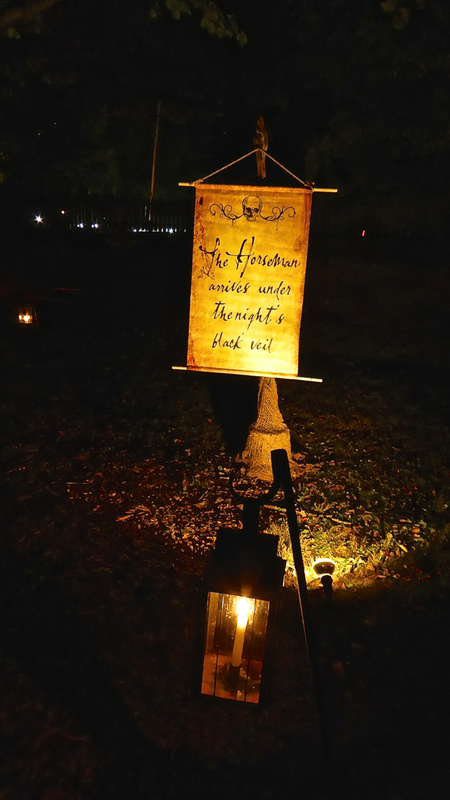 Finally, this year we were able to convince our middle-schooler to attend the ghoulish fun at Philipsburg Manor. We were not disappointed. The scene is set straight away as authentic candle-lit lamps eerily lead the way from the parking lot to the entrance with signs of warning about what it to come. What really sets this apart from other haunted house attractions is that it stays true to the historic era of the Manor—so lots of 18th century gothic ghouls and gruesome scenes. The costumes and sets look real and the actors are excellent and stay in character no matter what you say to them. While we saw some teens who said they were not frightened all (that they’d admit to) they will still enjoyed the hauntingly humorous atmosphere. I have to admit this walk-through experience made me scream a couple of times. Old Dutch Church – This small 18th century building is so mysterious it is not even on Google maps but you can’t miss it across the street from Philipsburg Manor. The church is mentioned in Irving’s tale and each year it pays homage to the author by hosting an event that recreates the story of Ichabod Crane in a one-man dramatization. Sleepy Hollow Cemetery – The cemetery, not to be confused with the one beside the Old Dutch Church, is naturally a great place to visit during the Halloween season. What is great about the events at this cemetery is that the kids may be (gently) frightened out of their wits during readings of Irving or Edgar Allen Poe but they’re still inadvertently learning about history and literature. 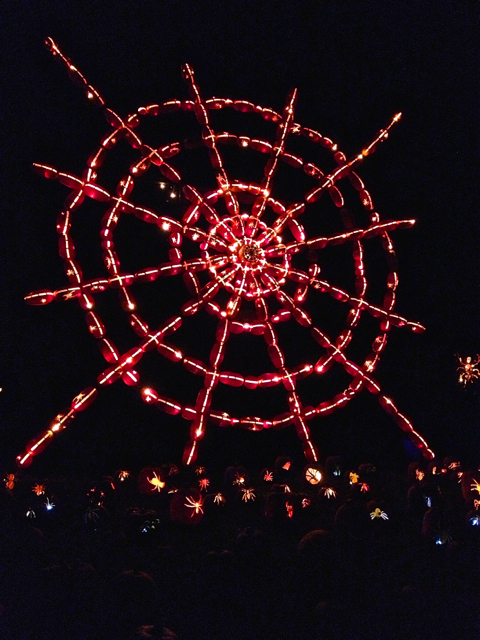 The Great Jack-O’-Lantern Blaze – Located nearby in Croton-on-the-Hudson, this event may not be as historic and educational but it is certainly artistic. 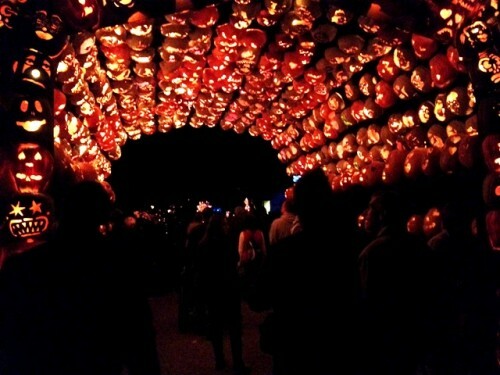 This elaborate all-ages outdoor walk-through experience has over 4,000 individually hand-carved Jack-o’-lanterns in more shapes and designs than you could ever imagine. Get your tickets early because this event sells out. Van Cortlandt Manor – Home to the Great Jack-O’-Lantern Blaze, this historic landmark is still on our list of places to visit for its own sake. By American standards this is a very old house with lots of Colonial and American history. The manor was originally on 86,000 acres of land that was granted to Pierre Van Cortlandt by King William III in the 17th century. What is really amazing about this house is that it was owned by the Van Cortlandt family until 1945, which means much of its historical detail is still intact. 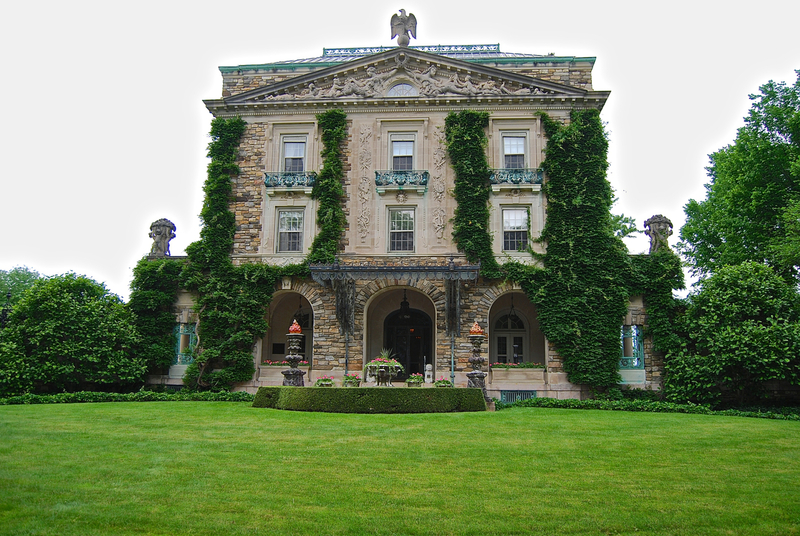 Vanderbilt Mansion – It is hard to believe this elaborate home was just a country getaway for Frederick Vanderbilt and his wife, Louise. Frederick married Louise, a divorcé twelve years his senior, for love despite disapproval from his father. As a result of his rebellion the senior Vanderbilt only left him ten million dollars in his will. The Vanderbilts were happily married but were not able to have children so the home was left to a niece who donated it to the National Park Service in 1938. Today, common folk like us can enjoy a tour of the elaborate house and the 211 acre estate. It is a National Historic Site not because anything historically important happened here but because it was representative of its age—the Gilded Age that is. Kykuit – The 40-room Classical Revival Georgian mansion was built for John D. Rockefeller who, at the time, was one of the richest men in America. The house was home to four generations of Rockefellers until it was eventually turned over to the National Trust for Historic Preservation. You can tour the beautiful house and the surrounding property but it also has a good-sized modern art collection., which nicely contrasts with the traditional decor. 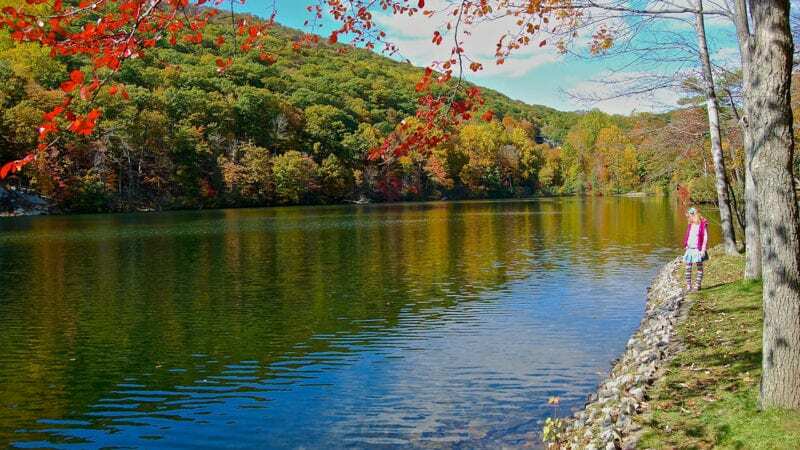 Though not overly mountainous, the scenic southern Hudson River Valley has plenty of parks for family hiking with trails for all levels of fitness. 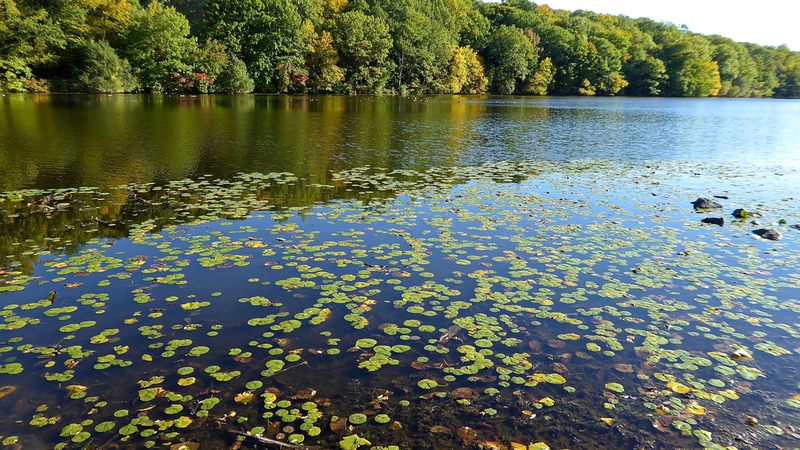 Rockefeller State Park Preserve – Just a stone’s throw from downtown Sleepy Hollow, this 1400 acre park has several trails to follow for a pleasant stroller-friendly walk rather than true wilderness hiking. A loop around the lake takes about 45 minutes or around the Farm Meadow trail could take up to two hours. Make sure you have water and a map because phone service is sketchy and you can still get lost in the hilly meadows and dense trees. If you want to extend your walk and get a gourmet lunch, follow the path with the grazing cows toward Stone Farm. The Blue Hill Café & Grain Bar there has fresh backed goods, farm-fresh lattes, and other locally grown goodies where families can eat in the courtyard or to take on a walk around the farm. The café is open from 10-4:30pm Thurs-Sun but on weekends there is an entrance fee to the farm, which is really a day in itself. Dogs are allowed in the park and at Stone Farm as long as they are on a leash. Biking is not allowed in the park. Hyde Park – If walking for long periods in nature is not your thing, the Hyde Park Trail is a 10-mile system of trails and walkways linking parks, nature preserves and local neighborhoods in the Hyde Park area. You can begin on the Vanderbilt estate where there is a 2.5 mile loop or you can continue on to the Franklin D Roosevelt Historic Site and hike the 3.3 mile Roosevelt Woods Trail while visiting the local shops and cafés along the way.